I wrote this brief study for my physics coursework and I thought it would be suitable for a blog post. As I found out during this write-up, information about KERS is extremely hard to come by as it is a very secretive area of engineering. I’ll have all my references at the bottom but before you read, it is worth mentioning that this is not a truly reliable study. I have done the best I can with the information I have found and I would like to thank Craig Scarborough (@ScarbsF1) for pointing me in the right direction on occasion. Enjoy! Most hybrid vehicles today utilise a rechargeable electric motor running alongside an Internal Combustion Engine (ICE), which in turn generates the electricity needed to power the aforementioned motor. In terms of satisfying changes needed to combat climate change, hybrid vehicles are arguably a step in the right direction. However all-electric power is an even more sustainable solution but they require an alternative energy source (hybrids use the mechanical movement of an ICE) to generate the electricity needed to power the electric motor. In years gone by, the Motor-Generator Unit (MGU) has primarily been used to convert currents. However over the past decade this technology has been harnessed to increase the efficiency of vehicles, more specifically road-going vehicles such as cars, buses and lorries. MGUs, in the motoring world, can now be referred to as energy recovery systems, their most common application being in how they recover energy that is normally lost under braking. Work is done at the brakes (by friction) to slow the vehicle down and this dissipates heat energy as a result of the contact between the brake pad and the braking surface (e.g. a disc). This lost energy can be recovered by inputting a generator into the drive system. When the vehicle is under deceleration, the generator harvests this previously lost energy – it acts as a highly resistive force when generating electricity so less force is needed on the braking surface. Therefore less work is done at the brakes and thus less heat is dissipated. Energy has been recovered from the braking phase which can now be used for other purposes, such as powering an electric motor that provides a drive for the vehicle. These are the basic principles of the Kinetic Energy Recovery System (KERS). It recovers kinetic energy normally lost under braking, stores it (in a chemical or mechanical energy store) and is then used to power the vehicle during acceleration. KERS is, effectively, a glorified MGU: it is well-known for its use in Formula One over the past five years although the technology has expanded rapidly into road cars and other forms of motorsport. Motors and generators can come in multiple forms depending on what their intended use is. Such devices can be built to run off/produce Alternating Current (AC) or Direct Current (DC). KERS utilises a permanent magnet, three-phase motor. This type of motor can also act as a generator, hence why it is dubbed as an MGU. A metal body encompasses a circular stator which is lined with multiple fixed coils of wire around its perimeter. A large rotor, with grooves cut into its profile, lies inside of the stator and is fixed to an axle. The grooves are lined with permanent magnets – magnetised metals that have a persistent magnetic field. Rare earth metals have strong, persistent magnetic fields (which can be combined to form rare earth magnet alloys) which are far more suited for this application than simple magnetised metals or other natural magnets. This all forms a large cylinder that forms the MGU of the KERS, which is then connected to an energy store which amasses the energy recovered under braking before redirecting it back to the motor when necessary or desired. The energy store comes in two forms: mechanical or chemical (see below). When acting as a motor, electricity is sent from the energy store to the fixed coils of wire placed around the permanent magnet-filled rotor. As the magnets produce a persistent magnetic field, the electrified coils of wire induce a force upon the rotor, causing it to rotate. The amount of electricity reaching the coils of wire can be modulated which allows the speed of the rotor to be adjusted to some degree. A three phase MGU allows consistent power delivery from the motor: 3 Alternating Currents are sent to each fixed coil which effectively creates one constant pulse of electricity. 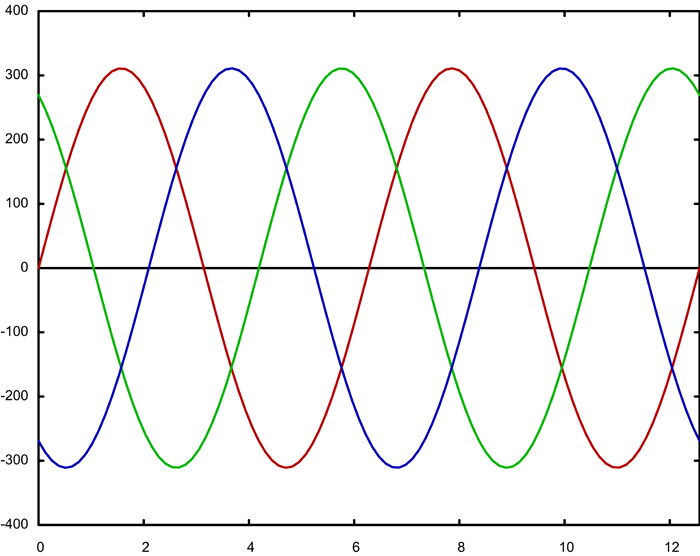 Three phases (represented by green, red and blue) of Alternating Current are sent to the fixed coils under acceleration. The gap between each phase is so small that a fourth phase would be negligible. The MGU is geared to the crankshaft of the ICE via a continuously variable transmission and a small clutch. The variable transmission is necessary mainly for generating energy as it allows the MGU to maintain a constant, high rotation for maximum harvesting capabilities as the vehicle’s engine speed decreases. When the vehicle is accelerating normally (i.e. without the inclusion of additional drive from the motor), the MGU’s clutch is disengaged – it has no effect on the vehicle in both motor and generator mode. The motor’s clutch can be engaged manually by the vehicle operator via a switch or it can be automated through the MGU’s software. In motor mode, the MGU provides additional power to the ICE which allows the vehicle to accelerate more quickly. In generator mode there are a few complexities. As soon as the vehicle starts to decelerate (i.e. when the car driver lifts off the throttle pedal) the clutch instantly engages and the MGU starts to act as a generator. This creates a highly resistive force against forward drive, rapidly decelerating the vehicle even when the brakes are inactive – it recovers the energy normally lost under braking. As a generator, the permanent magnet axle rotates within the coil-filled stator, producing a magnetic field that induces a current (AC). This current is sent to the energy store which can then be used for the motor application of the MGU as described above. Incorporating an MGU into the vehicle is probably not the biggest issue barring installation and packaging. It is the other systems (such as the braking mechanism) that get more complex due to its regenerative characteristics under deceleration. Less energy is required to the brakes now that the generator is doing most of the work which present brake bias problems, particularly front-to-rear issues on racing cars as KERS acts upon the rear (driving) wheels only. The problem in this case can be navigated by either shifting brake bias forward to the front wheels or installing an electronic Brake-By-Wire circuit. KERS stores the energy required for the system in one of two ways: chemical or mechanical storage. A chemical energy store is, in essence, a battery. An MGU generates an Alternating Current which is then converted to DC to allow the energy to be stored in the battery (lithium ion). When energy is required for the motor this is converted back to AC as it leaves the battery. Mechanical storage incorporates the use of a flywheel that acts as a battery. Although this has been less favoured in past times, recent development has allowed this type of storage to become more popular, particularly in public transport. This is because a flywheel’s rotation (up to 60,000rpm) creates gyroscopic effects upon the vehicle that can disturb its handling characteristics. 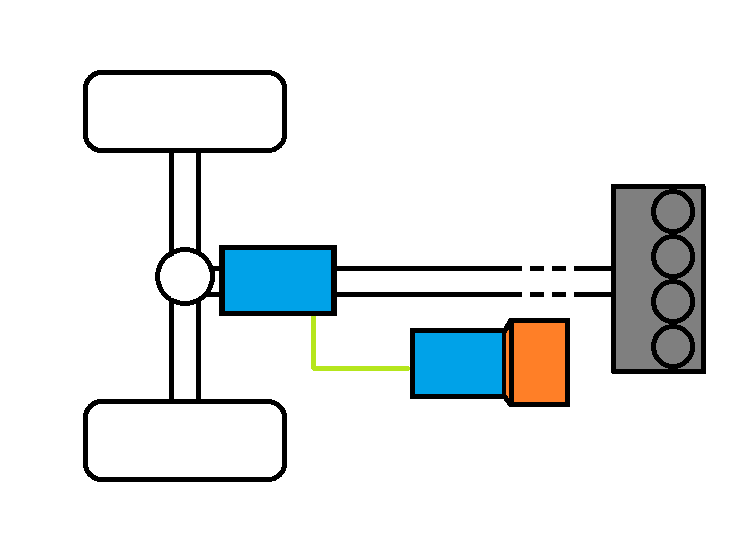 In this case, the flywheel is connected to two MGUs that run in tandem (see schematic below). The energy that is transferred back and forth between the two MGUs is stored in the flywheel’s rotational movement, which can then be used to become a driving force – a motor. The flywheel is spooled by an MGU in motor mode (at a ratio of 5:1 flywheel output to motor input ) and, due to its high inertia, can rotate for long periods of time, making stored energy instantly available. The attached MGU then acts as a generator, drawing energy from the flywheel before sending it to the MGU that drives the vehicle. From 2009-2013, the Formula One MGU in KERS typically weighed around 25kg excluding the wiring and energy storage. From 2014 onwards, however, the KERS unit (now dubbed MGU-Kinetic) will produce double the power output (120kW) and recover five times as much energy (2MJ) so the entire system will be even heavier. A mechanical energy store is much heavier than a chemical store hence why it is not often used in top level motorsport, although Audi’s LMP1 e-tron quattro race car utilises the flywheel system (made by Flybrid) to great success. Development in this field is rapid so decreasing weight will naturally occur over time, making this factor less concerning. The aim of using KERS is to increase fuel efficiency by relying more on the electrical power produced by the MGU to drive the vehicle at lower speeds. 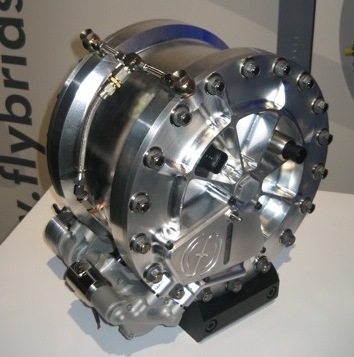 This therefore promotes using technologies such as Stop-Start and, for the flywheel system made by Williams Hybrid Power, can save up to 15% on fuel costs. Power delivery is also very efficient, peaking at around 95-97%. The advantages that chemical storage has over a flywheel are that the total volume is less, as well as overall weight. Having a battery only requires one MGU and the wiring to go with it, although AC to DC and DC to AC converters increase the likelihood of an electrical issue occurring. As a result of all this electrical equipment the system requires higher cooling demands which can be difficult to meet, particularly for public transport application. Mechanical storage KERS units are also more efficient – “The energy efficiency in a petrol-electric hybrid is about 37%, where ours [Williams Hybrid Power] is about 60%”. In a chemical storage system energy is lost through the multiple conversions between AC and DC within the wires and inside of the battery (the mechanical storage system is all run through AC). Storing energy mechanically increases efficiency and is thus more suited to public transport use. They also require far less cooling and they are already in mass production via a number of outlets. This makes them far cheaper to purchase and maintain for all uses. However, flywheels with a high inertia are heavy and take up a lot of space which is unfavourable for motorsport application and in some cases for public transport. A common problem for both systems is the transfer of high voltage AC, which can cause capacitive coupling along certain areas of the vehicle either within a circuit network or between networks. Capacitive coupling occurs when energy transfers by capacitance between circuit nodes – points where different segments of the circuit meet – or due to wires with differing voltages being placed in close proximity to each other. This poses a hazard to people if they touch certain areas of the vehicle. An example of this occurred in 2008 when a BMW F1 mechanic touched the steering wheel and the sidepod of the car after KERS was active during testing. The circuit networks running between the two areas of the car he touched were transferring energy from the KERS unit to the energy store and from the steering wheel to the battery. The mechanic consequently received an electric shock, requiring hospital treatment. Although this can resolved fairly simply (separating the wires or sandwich an insulating material between them), there are plenty of electronic systems in most vehicles today which could present a hazard to the vehicle’s occupant(s). In terms of road-car application, KERS can be used to “torque-fill” during phases when the ICE is producing low torque output. An electric motor’s peak power is no where near as high as an ICE but it has almost instantaneous torque. This is especially useful in turbo-charged vehicles that often suffer from turbo lag. 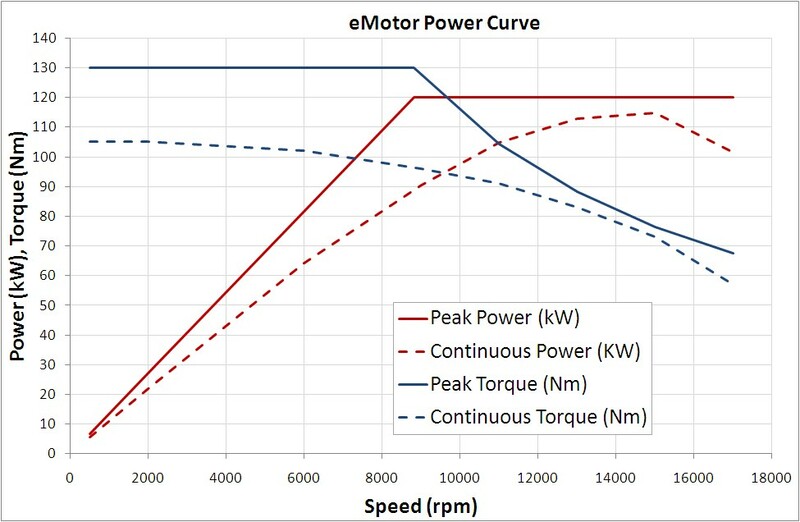 Using the MGU as a motor can fill the torque gap between the turbo spooling up and providing full boost, making the vehicle more driveable. The Kinetic Energy Recovery System is a remarkable development that has the potential to shape the road cars of the future. Although MGUs have other applications, energy recovery is by far their best use when considering sustainable development and promoting a greener image whilst maintaining high levels of performance from our vehicles and public transport. This entry was posted in Analysis, Special/Other and tagged analysis, battery, chemical, energy, ERS, flywheel, generator, hybrid, information, k, KERS, kinetic, magnet, mechanical, mgu, motor, permanent, phase, recovery, storage, system, three, unit on March 26, 2014 by thewptformula. Very interesting piece about KERS/MGUs. Do you think, over time, they’ll try and increase the role electric power has in F1 even more? I know Ecclestone wanted pit lane locomotion entirely powered by electrical energy (until it was pointed out silent cars moving at about 60mph could lead to people getting run over). Thanks for the comment, Morris. In my opinion I think it’s fine for now and I think the current formula is very sustainable. All-electric power is a little too far for anyone, cutting cylinders is suitable for the pitlane, too. Stimulating read. Very good ideas, well-made. I think you are just right there. Spot on. It has a small clutch of its own so it is either engaged to the crankshaft acting as a motor or as a generator. manner of writing? I’ve a presentation next week, and I am onn the loolk for such information. not very brief is it? Many, many thanks for that.